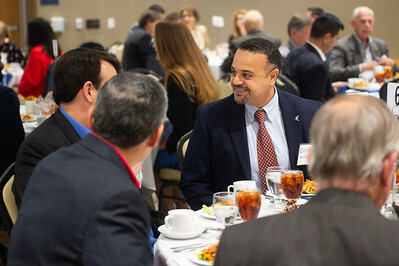 TAMU-CC Dean of the College of Science and Engineering, Frank Pezold, welcomes guests to the 2018 Friends of Engineering Luncheon. 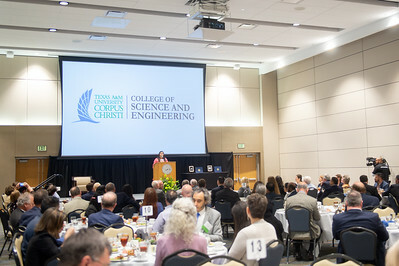 Friday April 6, 2018 at Texas A&M University-Corpus Christi. 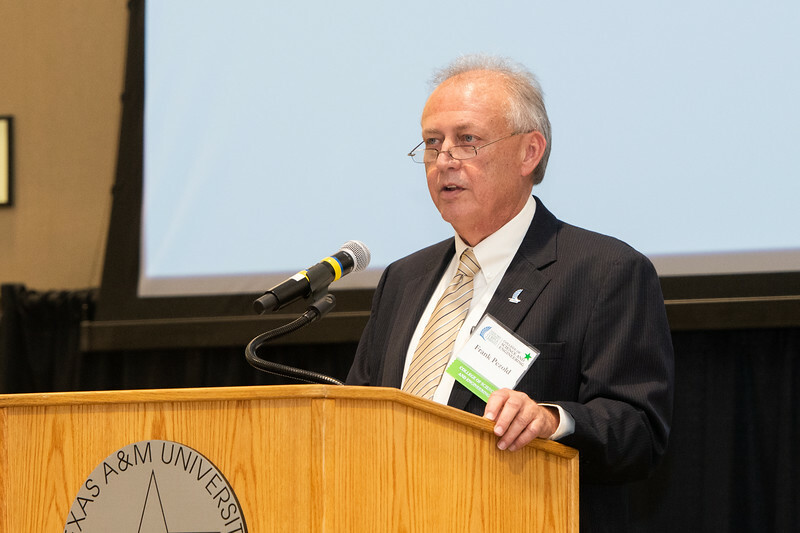 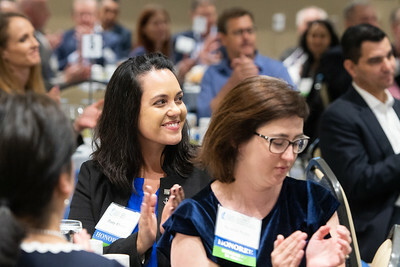 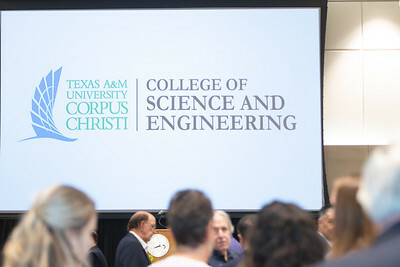 Kelly M. Quintanilla, president and CEO of Texas A&M University-Corpus Christi thanks donors for their gifts towards helping students in the Science and Engineering field. 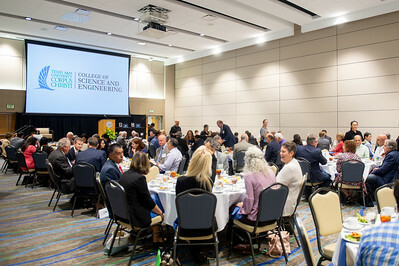 Friday April 6, 2018 during the Friends of Engineering Luncheon at Texas A&M University-Corpus Christi. 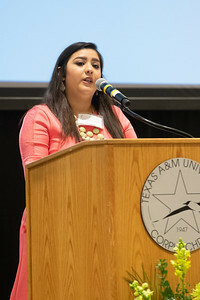 Amanda Sanchez shares her stories from her obstacles achieving her higher education in the engineering field. 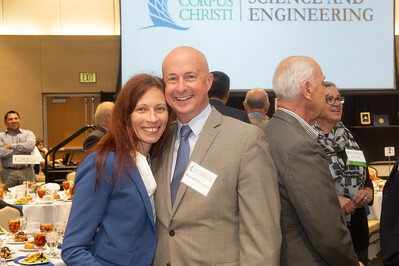 Friday April 6, 2018 during the Friends of Engineering Luncheon at Texas A&M University-Corpus Christi. 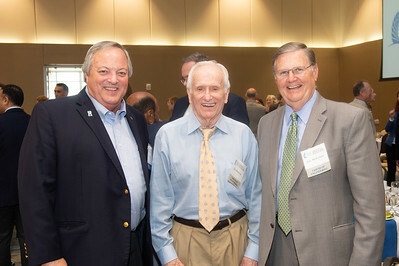 Kelly M. Quintanilla, president and CEO of Texas A&M University-Corpus Christi (left), Ben Wallace, Patt Wallace, and Dr. David Bridges. 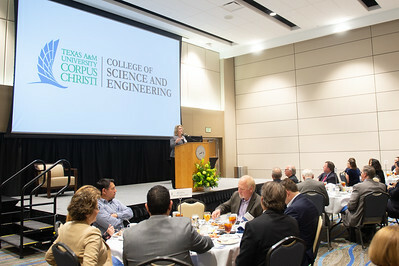 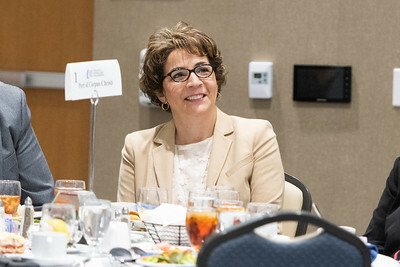 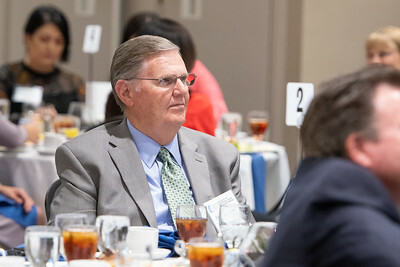 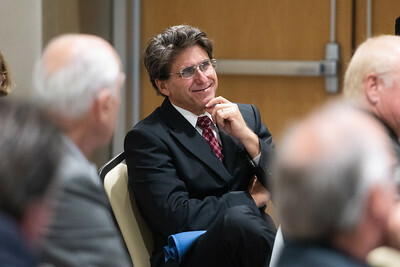 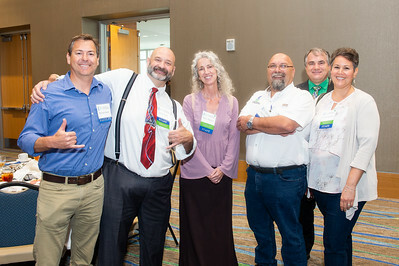 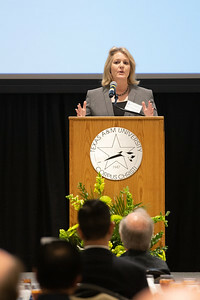 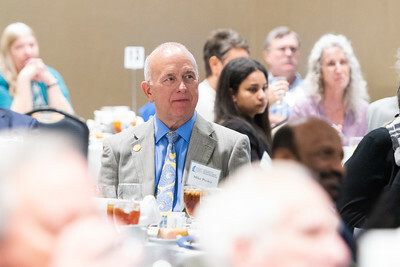 Patty Owen during the Friends of Engineering Luncheon at Texas A&M University-Corpus Christi. 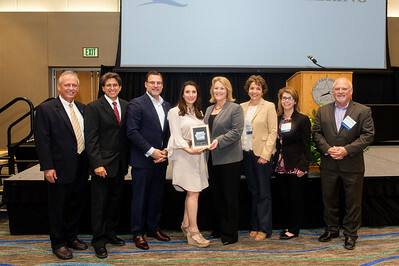 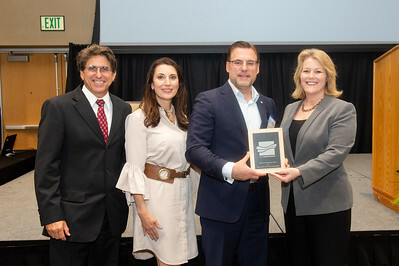 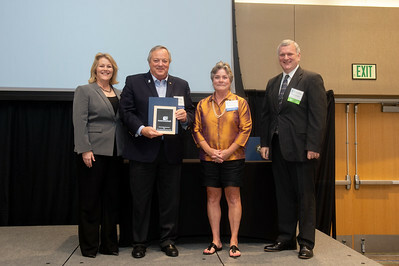 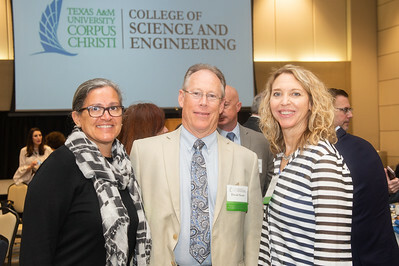 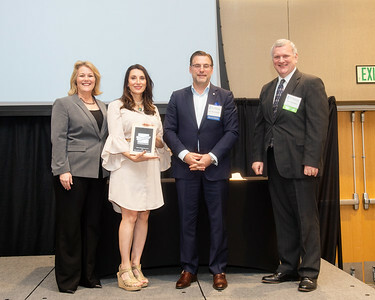 Kelly M. Quintanilla, president and CEO of Texas A&M University-Corpus Christi (left), Barbara Canales, Sean Strawbridge, and Dr. David Bridges. 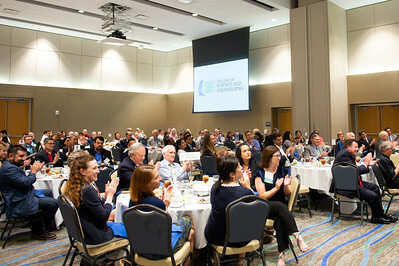 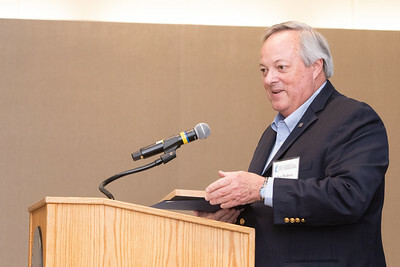 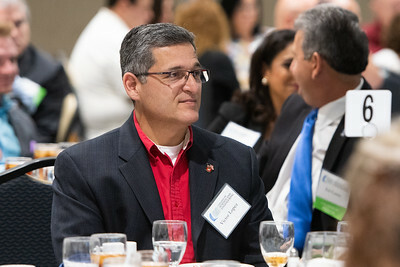 Mike Pusley during the Friends of Engineering Luncheon at Texas A&M University-Corpus Christi. 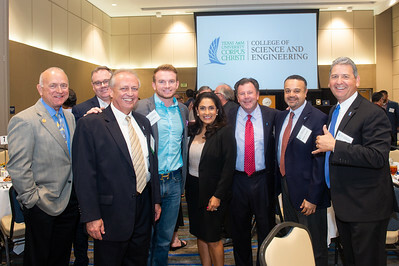 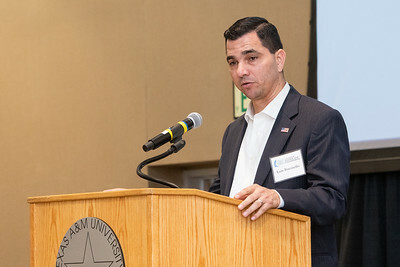 State representative Todd Hunter during the Friends of Engineering Luncheon at Texas A&M University-Corpus Christi. 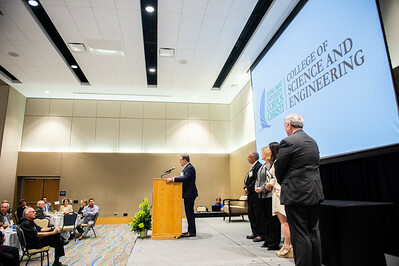 Sean Strawbridge representing the Port of Corpus Christi; accepts recognition from Texas A&M University-Corpus Christi during the 2018 Friends of Engineering event. 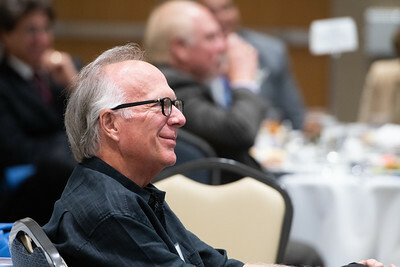 Ben Wallace (left), Jim Barnette, and Corpus Christi Mayor Joe McComb.